“Look around the room, look at the people around you, recall events that happen earlier today and find three things you are grateful for”. I love to do this exercise as part of the intro part of my team building workshops. Recently one of the participants asked why we are doing it. I shared a brief answer and promised to share more extensive reply lately. Elusive “lately” finally happen. Lashani, Z., Shaeiri, M. R., Asghari-Moghadam, M. A., & Golzari, M. (2012). Effect of gratitude strategies on positive affectivity, happiness and optimism. Iranian Journal of Psychiatry and Clinical Psychology, 18, 164-166. Seligman, M. E. P., Steen, T. A., Park, N., & Peterson, C. (2005). Positive psychology progress: Empirical validation of interventions. Tidsskrift for Norsk Psykologforening, 42, 874-884. Shipon, R. W. (1977). Gratitude: Effect on perspectives and blood pressures of inner-city African-American hypertensive patients. US: ProQuest Information & Learning. Accession Number: 2007-99018-513. Have you ever noticed that some days you get a lot more done than on others? It’s a little more than just having a good day, it’s something that can be used to your advantage once you recognize the signs. According to the insight of BJ Fogg, these moments of great inspiration and bursts of energy are ‘motivational waves’ and in order to get a lot done, you just have to jump on it and ride it through your list of tasks, chores or other jobs that are waiting for your attention. So, how do you spot these ‘waves’ in time to jump onboard? Fogg, who is a psychologist and the director of the Persuasive Technology Lab at Stanford, says it comes from awareness. The list below will guide you through the simple process that you can adapt to use in your specific circumstances. Essentially, you avoid becoming lazy if you make better use of those high motivation times. This works on many levels ranging from personal task completion to team building activities. For example, when you are highly motivated, you have the energy and desire to tackle larger projects than when you are not so motivated. The same principle applies in team building Singapore situations. When a group of individuals all possess high motivation it is easier to work together to achieve bigger goals. It also aids in bringing others within the group up to that motivational level. In other words, everyone has caught the same motivational wave and is riding it together. Aside from team bonding Singapore exercises, one of the best ways to capture that motivational wave and ride it to a better you, is to apply it to improving personal behavior. For example, if you talk about exercising but never do it, it is just talk. If you catch a motivational wave and use that energy and desire by focusing it on your plan to exercise, you are more likely to actually do what you say you have intended to do. This principle can be used for any type of behavior change you would like to make from eating healthier to stop smoking, be a nicer person, whatever your personal improvement list may contain. Where riding motivational waves really improve team dynamics or personal goals is that if you achieve goals when motivated, it will provide a valuable spin off. On those days when the waves are just lapping at you and not big enough to surf into a big job or project, it should not be a problem. That’s because the good habits you form when highly motivated will carry you through those times when your motivation is low. When you reach this point in your behavior pattern, the next motivational wave that hits you will be more to re-energize than to swamp you and knock you over. In other words, use them to build new and production habits from the start. All you are expected to do is make better use of those good days and to not let the off days throw you overboard. Sounds far too easy, doesn’t it? Well, that’s the whole idea. We tend to learn new skills when they are not difficult to follow. Riding motivational waves is one such example. You’ve volunteered, assigned or “kenna” arrowed to plan team building event. What’s next? A word that is so “chim” (Singlish slang for complicated), you don’t know where to begin. If you’re reading this, then chances are, you’ve volunteered, been assigned, or even “kenna” (Singlish slang for gotten) arrowed by your boss to plan the next team building event. So, where do you begin? What do you do first? Where do you start? And what’s this thing about team building events that build culture? Many a times, executives and even managers get too theoretical with planning their team building event, that they completely lose the plot. Team building events are about achieving objectives, yes; building culture, and strengthening bonds within your team. But, at the core, it’s also about having a good time. Many a times while conducting our team building events, we’ve seen this disconnect happen. In this guide, we’ve prepared a step by step comprehensive checklist for you to refer to, so that you can start planning your next team building event in a way that achieves your company’s objectives, but also lets your colleagues have a blast. Are we the right people to write this guide? You decide. 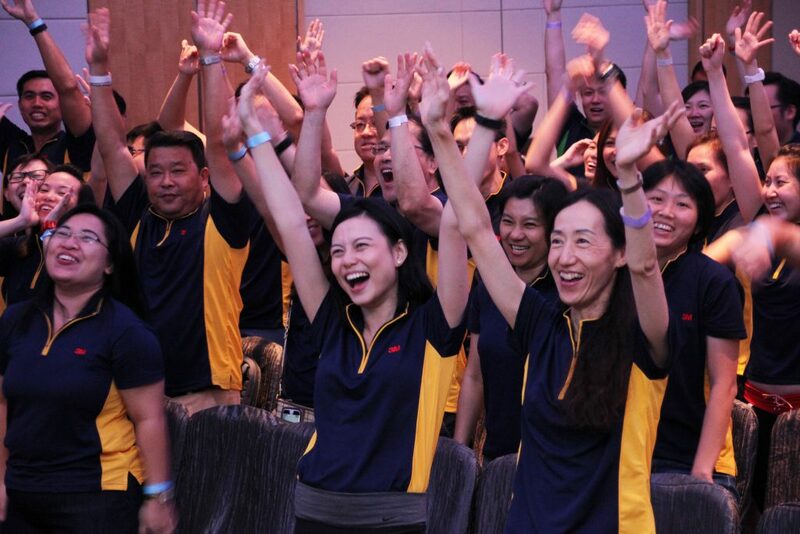 Across the spectrum of planning and facilitating over 1,000 events in Singapore and SEA in the last 10 years, I’ve played more roles in any team building event than you can think of. From being a participant in team building activity, to becoming a team building activity planner for my company, to conducting vendor planning and facilitating workshops, I’m dumping my experiences in this guide to help you solve the problem I used to face. Have a clear direction of how to go about planning your team building event, with the least amount of friction possible. From our experience: being on the committee and having the opportunity to be up close to the high shots in your company while you’re planning the event might just give you a leg up in your career later on. Being a part of the planning community. So your boss calls you into the office. You sit down, wondering what to expect. This is a common sight for many companies, we’ve realised after servicing over 800 of them. Sometimes, you as the executive become part of the committee, knowingly, or unknowingly. But before you start becoming “sian” (Slang for bored), let’s talk a little bit about the good things (and the bad) about actually being on the team building planning committee. Of course, being a part of a committee means extra work for you, we’re not going to lie! Since it’s a committee, this means that there’s bound to be some form of red tape. Oh, did we mention that if the event screws up, guess who gets the blame? Your committee. That means you. But enough talk about how miserable this “kenna arrow” job is, and let’s actually explore more in-depth into whether being part of the team building committee is something worth…celebrating about? As the personnel in the team planning committee, you get direct access to VIPs and VVIPs during the overall planning, when these people give overall event objectives and budget directions between the options proposed by your committee, and on the actual day of the event. This means you get a very exclusive chance to showcase your strong leadership and project management skills. Since your higher-ups are actually a part of the event, it probably means they’ll remember it. Internally, you get the chance to network with all the individuals in your company, which can help you get things done easier in the future. Most importantly, if the event is done well, you can expect to get small nuggets of points for a job well done. In short, it’s not all sunshine and rainbows being in a team planning committee. But we’re here to make it better, and make you, the planner, happier. We at Griness Teambuilding Singapore have compiled our years of knowledge after holding hundreds of team building events, and corporate functions to come up with a comprehensive guide that walks you and your HR Department through the entire process of planning, budgeting, and holding an actual team building event that is memorable for years to come. The first thing that you should do before starting any discussions whatsoever about the kind of team building activities is to define the objectives behind the team building event. Speak to the event sponsor or the manager about the objectives of your team building activities, before you proceed. Sometimes, clients try to speak in jargon, and “chim“ sounding objectives, even though they don’t have a genuine need to do it. This makes your job harder. If your objective is to have fun, and you want to measure your event in decibels of laughter, just say this. Don’t say chim words, just having a great time together is a great objective to have. The next group of stakeholders to take note of are participants of the team building activity itself. It’s important for you to define clearly who the actual participants are, since everything you plan from thereon will be formulated mostly around the participants. This group of people can be one department, a mixture of different departments, the entire company, or your company + your key clients (why not). What is the age of the participants? What is the position of the participants? What is the gender of the participants? Having a clear definition of your participants will save you valuable time down the line, as they will determine the type of activity that will be suitable for your event. Apart from the participants attending the team building event, and defining the objectives of holding such an event, it’s important to understand the date and time of your event. The date and time of any event, in fact, has a very great impact on your colleagues’ moods on the actual day itself. You can say that it’s the most important factor in this chapter! We’ve noticed after holding over 800 events that the most popular day for holding a team building activity would be on Fridays, because of the long weekends. But is there a downside to it? Most Popular Venues Are Booked On Fridays. Even if they are available, they won’t be as willing to negotiate rates, and accommodate your budget for your team building event. That means higher budgets for the same deal. Is it really worth it? In this case, you might want to use Monday instead, since it will be still considered an extended weekend, and you start your working week right after the days pumped up, in a great mood. When choosing the date of your team building event, take into consideration public holidays, eve of public holidays, election days, and so on. Some companies decide to have events on weekends. It’s good for the company (saves cost), but is it really good and exciting for employees? I don’t know about you, but I don’t think your colleagues would very much appreciate having their weekend taken away from them. Typically, only 60% will sign up, and only 30% will turn up if an event is held on a weekend. Now comes the part where we talk about a sensitive topic for you and your team: the team building budget. Depending on your objectives, it’s important to be clear about the type of budget that you have, as it will be the main consideration when shortlisting the options that you are able to afford for your event. if your department is too small to afford team building activities (10-15-20 people or less), what team building companies and venues will charge you will be unreasonably high. One of the popular ways of how to solve it is to combine team building with other departments, or two of the same size. Alternatively, you can also think about how to tap on other sources of budget, and / or plan your team building event at the end of the financial year when you have the urgency to spend your budget. The Singapore government is generous with various fundings for SMEs and local workforce, so make sure to check out the current grants that you can tap on. Let’s do a small exercise. Suppose you Google “team building event singapore”, and you get 10 results. Then, you ask your colleague for another 10 suggestions, and you check out all their websites. You’ve found 20 “number 1 team building companies in SIngapore” – at least, that’s what they advertise. How do you overcome this ridiculous amount of BS? This chapter will show you how. The most important thing before deciding on a vendor, is to conduct some prior research about different vendors, and see if they fit the bill. To do that, there are a few things that you’d have to look out for. Since the vendors are as good as they claim to be, then chances are, they’d have a list of events that they’re already running. Thus, understanding what these events are and starting your research there is a sure bet way of finding more detailed information. Call the vendor, and ask for a list of events that they are conducting this month. Then, collate this information on a list, or an Excel Sheet. Next, we’d want to start the calling and research process. Make sure that you call these clients at random, and not in the order that the vendor has given you. For the best results, you’d want to call both existing event clients (if the vendor is willing to provide that information), or the last 10 events that they have done. Check to see how many events the vendor conducts every single month, and you’ll understand how booked they are. The more booked they are, the more seasoned they are in the field, naturally. Next, try to find out if Team Building is their core product, or simply their side business. By gauging the events and clients that the vendor has given you, you’d be able to see if team building is frequently included in their events. Although it’s an extra step, calling the organisers of the past events held by the vendor, even for 10 minutes, helps you to create an objective picture of whether or not these people know what they are doing. When it comes to price, the most expensive firms doesn’t mean it’s the best. At the end of the day, it really depends. Look at other factors, not just the price. You’re trying to understand the vendor’s ability to cater to your needs, such as being able to customise and tailor an event to match your organisation’s objectives. If during the call, the agency is able to suggest different case studies about how they customised programs that were similar to yours, then that’s usually a good sign that you’re talking to a vendor that knows what it’s talking about. This is a point that many executives and planning committees miss out when they conduct a call with the team building vendors. When you’re on the call with the vendor, always be sure to check if you can click well with the person over the phone because you are going to liaise with him/her for your events. If his/her tone of voice irritates you, then it might be wiser for you to look somewhere else, since you’d be potentially irritated for the next one month. Of course, when it comes to team building events, the most important people from the vendors are the facilitators. Firstly, ask the vendor who will be conducting the team building event. Then, ask if you can check out the facilitator’s profile. Usually, they’d have that profile on their website. Go to the website, and have a quick read up of the profile and try to see if you’ll be able to match well with a person of his/her experience. One of the largest companies in Singapore in the property / retail market recently appointed Griness as their official team building vendor. The process of evaluation took 6 months, and Griness was analysed from all aspects that you can (or cannot) imagine. Some criteria include: having similar contracts in the past, having facilitators with at least 5 years of experience, checking up on references, attending our events and so on. Once you’ve decided on a team building vendor, it’s time to choose team building activities that you can use to achieve your objectives. But first, we’re going to have to define these objectives. Based on the requirements and factors that you have identified in Chapter 1-2, reiterate these objectives and requirements again. Confirm these objectives and requirements with upper management, or your project planning committee. Once everyone agrees on the team building objectives, it’s time to find out a little bit more about your team’s preferences. When it comes to team building events, it’s important to be mindful of your team’s preferences. Most of the companies, associate team building with outdoor activities, but most of the participants appreciate indoor more, especially after experiencing outdoors events in the hot Singapore weather. Therefore, be sure to ask your participants what kind of setting they’re the most comfortable with. After all, what’s most important is that they have a good time while learning, right? If your team chooses to go for outdoor activities, then the next decision that your planning committee will have to make would be to choose the type of outdoor activity that you’d want. Extreme outdoor activities are, for lack of a better word, extreme. They are activities where you and your team would have to spend at least half a day under the sun. For example, Griness holds activities such as Beach Olympics, where we hold friendly competitions for teams at beaches. But if your team prefers something less strenuous, then we’d have to go to the next type of outdoor activity. Outdoor events might sound all hype-ish and fun, but we’ve found out in our experience that there is no correlation between how much time you spend outdoors, and the level of fun that your team members get. In other words, this is really a myth – you can get the same type of fun with indoor events. Extreme outdoor activities have a mixture of indoor and outdoor events. For example, our flagship semi outdoor games like “We are Omnivores” or “CSI” require participants to spend time under the sun, as well as in the shopping malls, so that they have a chance to cool down. If your team prefers to keep it “cool” and hold your team building event indoors, then make sure to let your vendor know that in advance. This will also heavily influence the type of team building activities that you’ll select. For example, Griness holds indoor team building activities like “Minute To Win It” or “Team Symphony”, where participants spend the entire duration of the activity indoors, but with the same level of fun. Suppose you are unable to decide whether or not you’d want to go for indoor or outdoor activities, then why not have the best of both worlds? How Physical Intensive Do You Want Your Event To Be? One important consideration that your team building planning committee should have in mind is how physically intensive your event should be. Most companies have a very diverse workforce, with most participants ranging from 25 – 65. Keep this in mind when you are deciding on a game. A good solution to this issue is to cater to both groups of participants. But what do you do when you have both? Youngsters prefer faster paced events, while more experienced colleagues prefer a slower pace of activity. It can be challenging to choose. But not if you’re dealing with an experienced team building vendor. For example, in another of Griness’ flagship event, “Running Man”, participants are given a choice over 30 tasks that vary in physical level, so that both youngsters and experienced have an equal chance to have fun the way they like it. One more consideration that you’d have to keep in mind is your plan B.
Singapore is famous for its unpredictable weather, and the occasional haze. This means that it’s important to have a backup plan, especially when you’re choosing outdoor activities. Our recommendation is that you can choose at least one backup activity for your team building event. Our recommendation is: if you have a half day event, choose one backup activity. If you have a full day event with half of your event outdoor, and either swap the activities and hold the other half of the activity indoors. Some vendors don’t offer choice of backup activities, if you don’t ask them. 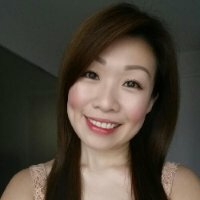 If you fail to have a backup plan, or choose a bad team building vendor, then you might just end up having a similar story which one of our clients shared about their past experiences with other team building vendors – standing in East Coast Park, in the shelter for 3 hours, waiting for the rain to disappear. That’s why we always care to offer backup plan, even though you don’t care to ask. Be sure to gauge how popular a game is, and how it has performed in the past for other teams. Ask the team building vendor how many runs of the game they’ve had to date. This gives you a good indicator of the level of popularity, and it makes sure that your team doesn’t end up as a guinea pig in that particular game. By now you’re super clear about your company’s objectives, and your team building planning committee is perfectly happy with the suggested activities that your team building vendor has suggested. But how do you make the final decision? Let’s say you’ve shortlisted 5 activities, and you have to make a decision on them. Here’s 3 typical how companies are doing it. This is definitely the most straightforward approach. Asking your boss to make a decision can be easy, but it can also be nervewrecking, to say the least. Expect to be asked about the reasons why you have selected these particular team building activities, and why it helps to achieve your team building objectives. Usually, the head of the team building planning committee is responsible for suggesting these to the boss. A good team building company will make it a breeze for any team building planning committee to successfully justify their decisions to the boss. This is another straightforward method. Conducting a vote with your committee allows you to have a say in the work that you’re done so far. Be true to your own decision, and be sure not to subject yourself to groupthink. Even if the entire group thinks that option A is the best choice, be sure to voice out your concerns, if you think other options are worth exploring. Another meaningful way to make a decision is to conduct a poll with the participants who are going to take part in the team building event. But before you get all excited and reveal all the action, keep in mind that if you give away too many details of the games, it ceases to be fun anymore. Therefore, try to give an idea of the game outline, but not all of the details. Polling allows people to have a say in the team building activity, which leads to higher engagement, and less sick leaves on the day itself. Congratulations! You’ve made it far into your team building planning process. So far, you’ve decided on the objectives of your team building activities, and have somewhat of an idea of how you’re going to go about setting up the event. In this chapter, you’ll learn about every aspect of choosing the right team building venue for your team building activity. As always, since you’re on the team building and team planning committee, you’re bounded by the budget that is allocated by management to conduct the event. Therefore, it’s very important that you’re clear about your budget, especially about how much you can spend on each section of your budget. It will make your choice easier by narrowing what you can do, and what you can’t. Next, you’ll have to be mindful and take note of your participant’s dietary requirements. Do you have participants who consume only halal food? If you do have Muslim or vegetarian participants, then would it be a good choice to cater the entire event halal food, or vegetarian? Since team building is about treating everyone with equal respect, catering halal food or having an equally wide range of food for people with special dietary requirements shows that you respect their food choices. It sure beats that bento box that we see so many other team building companies cater for their clients, while others enjoy their buffet! As with choosing a venue, it is very important to know if accessibility is going to be an issue. If your team building venue is in a location that is “ulu-pandan” (slang for deserted), then obviously you need to make sure that transportation is available for the entire team. Obviously, you’d have to do a poll to find out how many participants are going there by bus, or taking their own mode of transport to the team building location. If many of them don’t have their own mode of transport, and the team building venue is hard to find, then it might make more sense to arrange a shuttle bus from your office. It might work of teams of up to 100 pax, but don’t expect to conduct a 200 pax event outdoor without renting a venue.If you are tight on a budget, it is possible to have an event fully outdoor, without renting a venue. Alternatively, you can always hold your team building event indoors in your office. For example, one of our most unforgettable experiences was having an Airship Race team building activity done inside our client’s office, racing through the cubicles. You could start the team building event indoors, then hold the main event outdoors, finally ending it with dinner. The benefits of holding the team building event in your office is that your workplace transform into not just a place for work, but also for fun. Now that the majority of your team building event is confirmed, it’s time to settle the specifics of the event. Most of the times, directors and heads of departments like to take the opportunity of the team building event to reinforce internal business sharing. Sometimes, they’d also like to conduct opening and closing speeches, just to reinforce the entire point of holding the team building event. It’s important as the team planning committee that you ask your directors or boss if they would like to give a speech. Check with them if they are willing to do it, and how much time they will actually need. Some might have inspiration, or hold a history of having inspiration, and end up taking 2 hours to conduct the speech. This leaves less time for actual team building. At one of our events, a director spent nearly 1 hour finding inspiration to speak impromptu, and actually translated his speech into Mandarin, which further took more than 1 hour. The reason why team building is so effective is because it gives people the opportunity to work together as a unit, and build strong bonds. This is also why it’s important to decide the right groups that you want to create during the event. If you want to build stronger bonds during the event with specific departments, then it might be wise to group the department together. But, if you decide that you would like to focus more on cross functional collaboration, or mix up different hierarchies and generations, then mix them – you can do so by preassigning the group list or asking facilitators to do it for you as part of the event. Most people think that every single event and game must include prizes to incentivize participants. But that is not always the case. Sometimes, prizes are not really needed. For example, some activities are of collaborative nature (such as the Domino Effect team building activity), and don’t require prizes. Prizes should not the main highlight of the team building event, but the experience and outcome is. In fact, having prizes might sometimes defeat the purpose of such a team building activity in the first place! However if an activity is of a competitive nature, it’s good to have prizes for winning teams. For example, just patting participants on the back, and giving them a handshake and a verbal “Good job!” might not justify 2 hours of sweating outdoors and trying to outdo other teams in activities like Running Man Race or Bizarre Olympics. If we do need them, you can do shareable prizes, such as food hampers and NTUC or CapitaLand vouchers. If you’re feeling creative, then you can even consider pedometers for the fastest team or a candle light dinner package (2 candles and instant noodles). In any case, don’t overthink about the prizes. They should not the main highlight of the team building event; how participants feel after the event is. So now you’ve got your team building activity all planned out, and you’re ready to get the word out about your event. Well, before we begin, it’s important to think of promoting your event as a marketing campaign. Your goal is to make them to think in a way that they are eager to participate in the event. Sending flyers and reminders for the event 2 months, 1 month, 1 week and the day before the event. The purpose of doing this is the set the right expectations for the event. You’d want to this opportunity to reinforce important details like the date and time, as well as the attire for the team building event. Today’s the day of the actual team building event! Are you nervous? You have every right to be. But since you’ve read this guide and followed it to this point, there’s really no need to be. So calm down, and read through the following steps to take in this chapter! Firstly, it’s important to run through the programme details. By now, you should have a list of the programme details that the vendor has generated for the actual team building event day. If possible, pull the team building vendor aside, or get them to send their facilitator for the event early so that you can run through the program together with him / her. Don’t interfere too often if facilitator is experienced. Share concerns and information about why you feel that way, and let him/her decide how exactly to solve it. Of course, since you’re on the planning committee, your success at organising the event is almost directly correlated to the success of the facilitator and vendor at holding the event. Therefore, it’s very important to motivate your team building vendor to do their very best at your event. Here are some methods that you can use (or not) to “motivate” them to do their best… and beyond. Most team building planning committees get stressed up over the actual team building event, and take it out on the team building vendor. What do we mean by that? Every time we meet such a client, he/she will repeatedly “tell’ us that we must do a good job, and insist that their promotion depends on us. Then, they repeat it 88 times, almost as though it’s a sign of good luck. Repeating and pressurising the vendors will only lead to unproductive work being done, and will not helping anyone. Instead of putting unnecessary pressure on the team building vendor, it would be much more effective to adopt a different approach. For example, being extremely detailed and specific about the outcome that you want to achieve helps the team building vendor to understand exactly what you are looking for. By being specific, we don’t mean specific as in the color of the napkins that you would like to have, but in terms of the outcome that you would like to see from the team building event. This will demonstrate to the vendor that you care about this event, and you know what you want your team to get out of it. Finally, you should also trust in the expertise of the team building vendor. After all, if you don’t, then what’s the point of hiring them in the first place? The team building event was successfully over. Whether it went well or not, you and your team deserves a pat on the back. But the work is not yet complete, if you’d want to provide a comprehensive team building event. After every team building activity, there are actually some specific steps that the planning committee has to do, to end the event on a high note. This chapter will cover each and every single one of them. Once the team building event is complete, you’d have to send thank you letters to participants, thanking them for their time to come for the event. You can definitely use computer generated letters that are typed, but our experience shows that handwritten letters always have that personal touch to them. In your thank you letter, summarise the event, and some memories that you have of their participation during the event. Finally, thank them for their participation, and finish off with a hint for the next team building event. This not only builds goodwill for you, which will make your job easier in the future, but it also gets people excited for the next team building event, which will make planning it that much easier too. Another thing to do after the team building event is to also upload the photos from the event, and make it available for download by your colleagues. To do that, you might want to use any internal file sharing software that your team already uses, or some other secure file sharing platforms like Dropbox and Google Drive. In addition, you can consider adding a link to Thank You letters that your team received after the event from participants. If you happen to also be a HR personnel, then you can also think about how you can use these photos from the team building event to do some internal marketing and branding. Having constant reminders of the fun your company had in your team building event is a good way to motivate your employees, and get them to work better together. Externally, companies who put photos of people having fun will always portray a good place to work, instead of solemn, professional faces. You’ve put in the hours planning this team building event. Now it’s time to think about how you can leverage on this event’s success for your career. Keep building a relationship with people who you got to know because of this event, such as the heads of other departments, or even your own. It’s important to reinforce these relationships that you have sparked off at the event, and solidify them as soon as possible. You’ve started your team building planning by defining the objectives, and then finding the best possible ways to achieve them. Take a look back at the objectives that you have defined. If the team building events were to keep the lesson and motivation after the event alive, display pictures of team building throughout the office, and display artefacts created during the Team Building event throughout prominent places. After 2 months, have a mail blast containing crazy pictures taking place throughout the year. Planning a team building event is not hard. What it needs, however, is a dose of common sense, mindfulness, and a good attitude. We hope that this guide will place you, the team building planner, in a better position to plan your upcoming event. Do you have any more questions about your next team building event? If you do, let us know! We’re always eager to help. Other than that, here’s to your next successful team building event!